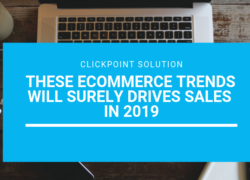 We live in an age of ecommerce and it has greatly evolved in over the past few years. Ecommerce is not easy and making a profitable ecommerce store is always a hard work. You can’t just open the website and expect people to flood in it. It’s really a challenge to run an ecommerce business though there is emergent of media platforms and technological advancement. 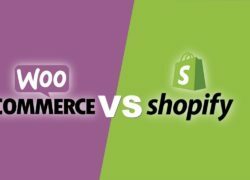 So, there are some strategies, you’ve to really take care of to boost ecommerce traffic and sales. It has a positive impact on visitors if you are maintaining catchy and trendy website. Your website must be well decorated and color plays an important role in looks. One thing you have to keep in mind that your website should not be messy. Decorating your logo or even just your website according to the flavour of the business can help marketing efforts considerably. One of the greatest innovations of technology is social media, not just in our ability to communicate but in our ability to market directly to those we want to reach. Through social media you can be so specific to whom you are targeting and the best benefit is its cost effectiveness. You can now reach your audience spending as little as and keep in mind that there are 2 billion people have their active social media accounts. To get the unified benefit, one must be aware of Synergy of SEO and SEM and SMO. Most ecommerce websites have their own blogs and it’s a good idea to feature posts about your products over there. You can use eye-catching visuals in blog posts and link to all featured individual products. It’s always a good idea to spend a little as incentives on consumers. You can able to boost your sales by offering things like discounts, extra points for your loyalty program or free gifts with purchase. As we know Google product search includes links to buying guides at the bottom of its shopping search results pages. So you should link the buying guide to each page and optimise it by including the term ‘buying guide’ in the title tag, meta tag, header, content, and other onsite elements. Google will include your buying guide in its product search results if the page is well optimised. You can create an additional holiday gift section as one of the categories in your ecommerce store. You can promote the products that make perfect holiday gifts or any discounted products for the holiday. We can’t forget mobile as the world is going on it. Though we have some internet based technical advancements, but forgetting to take SMS marketing service will be a mistake. Send text messages to your subscribers about new products or unique coupon codes for a discount. This encourages repeat business and enables you to market to the users that don’t own smartphones as well. Email Marketing has been a great way of marketing from the day of invention. With an eye-catching newsletter and interactive visuals you can able to showcase your offers. Send out an email encouraging previous customers to shop on your store. You can also offer incentives to loyal customers. Try to write a guest blog post for example ‘Style Tips For Men’ as you are having an ecommerce biz for men’s apparel. In someone else’s blog you’ve to write but it must be well written, thoughtful and informative. You can submit your guest post with product links in your website. Studies show that a lengthy Checkout process can increase cart abandonment and decrease your conversion rates. The simpler and easier the process, the more likely your customers will be to complete the purchase. You don’t want to lose customers because you didn’t provide a payment option they preferred. Provide variety of payment options for your customers. This will make the transaction linier and successive. Thnx Team, for your time and words for the article, ll be looking forward for more such articles onl Website in the future.